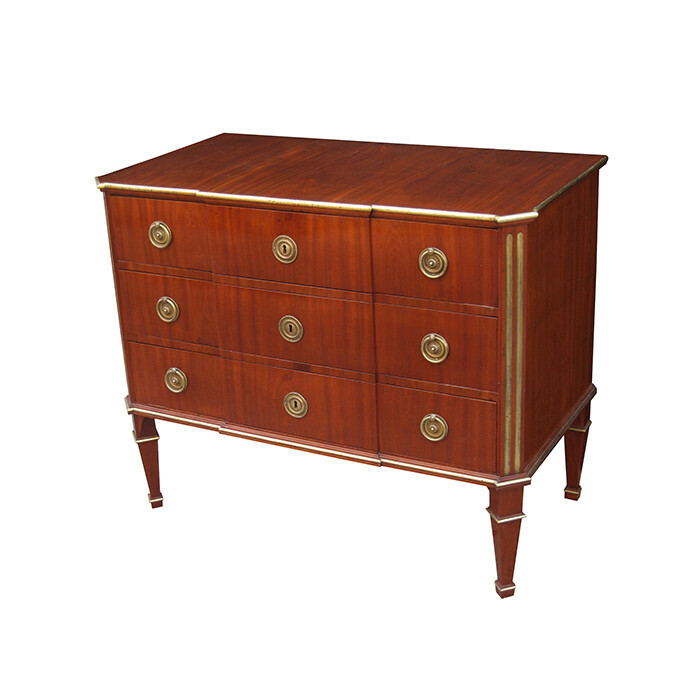 A fine Neoclassical chest of drawers. Mahogany with patinated bronze details, trim,sabots , pulls and escutheons. Dimensions: H:32½ W:40¼ D:21¾ Inches.